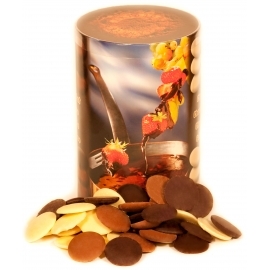 White chocolate covering, for all sorts of creative recipes. 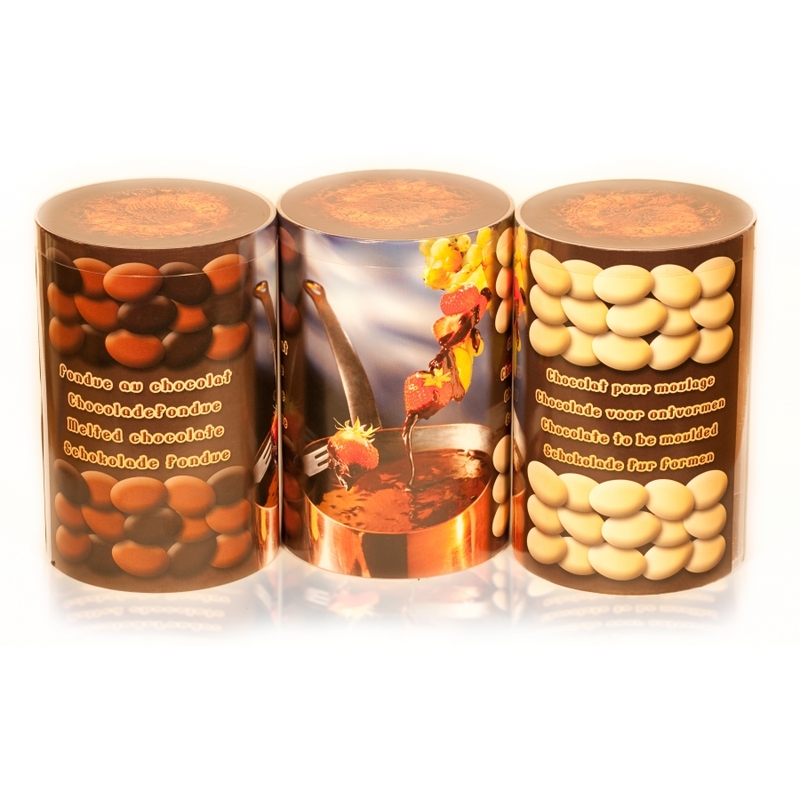 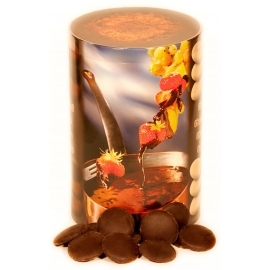 Most commonly used by chocolatiers and professional patissiers, the main characteristic of this chocolate covering is the excellent quality of the base product. 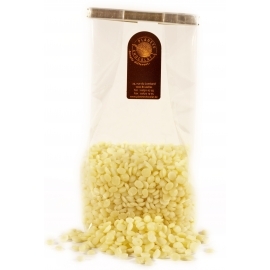 The White chocolate has a light taste of butter and milk, the perfect balance between fresh and sweet. 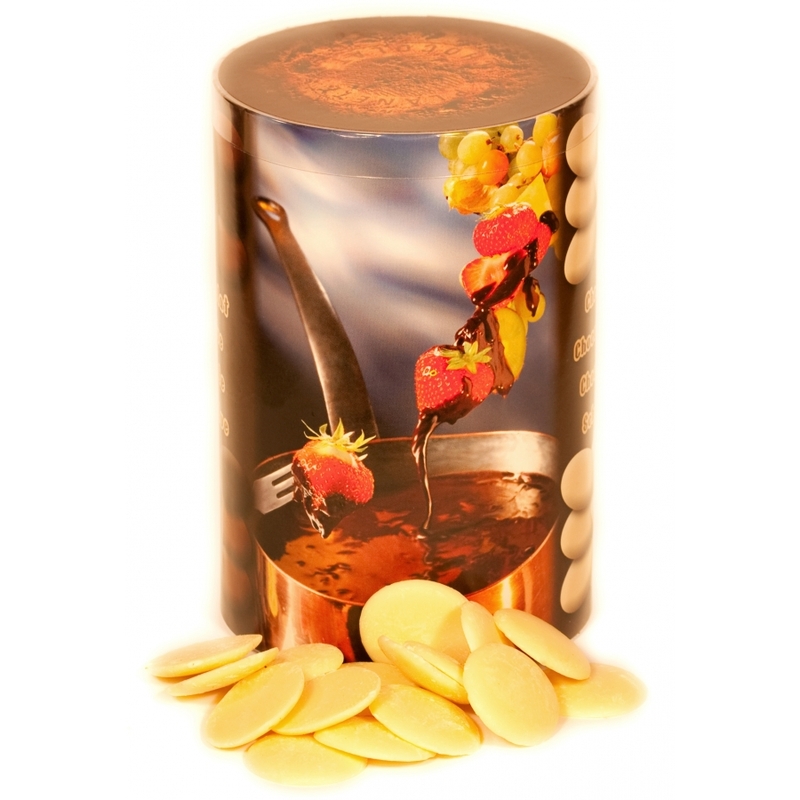 Its packaging in the form of pastilles makes it easily measurable. 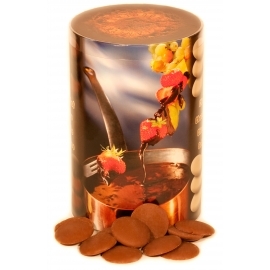 The cocoa butter content makes it fluid and easy to handle for all sorts of creative recipes such as chocolate bars, sweets, desserts and patisseries (chocolate mousse, black forest gateau, chocolate fondue and fruit coating, etc..), but also for decorating your culinary creations.